Are there additional resources that I can consult relating to the CPE standards? 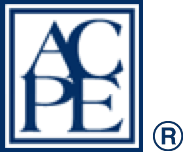 Yes, if you’d like to access the ACPE standards checklist, rubric, and samples you may visit, https://www.acpe-accredit.org/ceproviders/resources.asp. Can I download the webinar recordings to my local computer? No, currently the ACPE webinars are viewed as streaming video; an internet connection is required to view the recordings. How do I purchase an ACPE webinar? Once you've found a webinar that you are interested in purchasing, click the 'Pay Now' button on the right side of the webinar page. Clicking this button will redirect you to the PayPal website to complete your purchase. If you do not have a PayPal account, you may still complete your purchase using your debit/credit card. Once you complete your purchase and are given the option to print your receipt, you will be redirected to the ACPE Webinars page. How do I view the webinars that are available for purchase? Once you've successfully created an account and logged in, click on the 'Webinars' tab at the top of the webpage to browse the selection of ACPE webinars available for purchase. How do I view the webinars that I have already purchased? To access the webinar recordings that you have purchased, click the 'My Webinars' tab at the top of the webpage. On the 'My Webinars' page you will be able to see your current webinars, webinars in which your access has expired, and you have the option to search for additional webinars for purchase by clicking 'Search All Webinars.' Click on the title of the webinar you wish to view and you will be redirected to the webinar recording. Click on the video link on the left hand toolbar to begin the recording. On the recording page you will have the ability to download the PowerPoint slides and supplemental resources related to the webinar prior to viewing the actual recording. How long will I have access to the webinar courses? I am having a problem opening the attachments. Is there certain software I should use? Attachments in PDF format require Adobe Reader (http://get.adobe.com/reader/) to view.If you continue to have difficulty accessing the attachments in each recording, please contact your IT department. If your organization's IT department has determined that the issue cannot be resolved, please contact ceinfo@acpe-accredit.org. Lower overall cost – Since there is no instructor or travel involved, the cost of online learning is substantially less than learning similar materials in a traditional setting. What are the browser requirements for accessing the ACPE Online webinar courses? Microsoft Internet Explorer 6 (Support ending in 2012), Microsoft Internet Explorer 7, Microsoft Internet Explorer 8 (recommended Internet Explorer version), Firefox 3.6, Chrome. The webinars can also be viewed from most handheld devices such as your iPhone, iPad, Android phone or tablet. When can I access the online recordings? Once you create a log-in and password on this site and complete your purchase using Paypal, the webinar recordings that you purchased are accessible online 24 hours per day.